You seem like a person that understands the phrase 'knowledge is power'. Yes, you are. And with great power comes great responsibility. 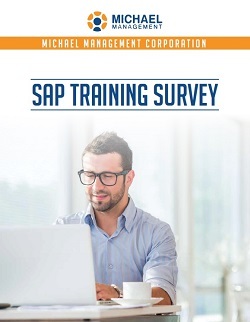 Every year we ask 1000s of SAP professionals like you about their expectations and experiences with regards to SAP training...and they shared it all with us in this report. Find out how the SAP training market is doing right now. What type of training do people want? What's needed the most? What's hot? What's not?